Visual approach to work management. Is there a better alternative to Kanbanier? Is Kanbanier really the best app in Project Management category? 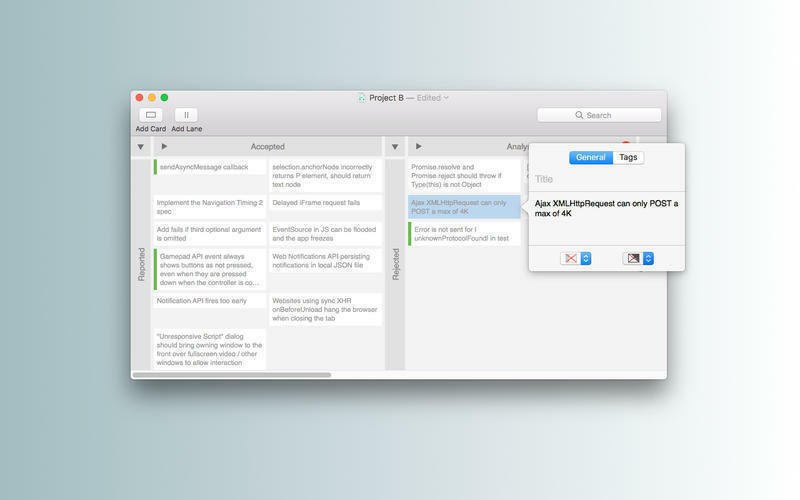 Will Kanbanier work good on macOS 10.13.4? 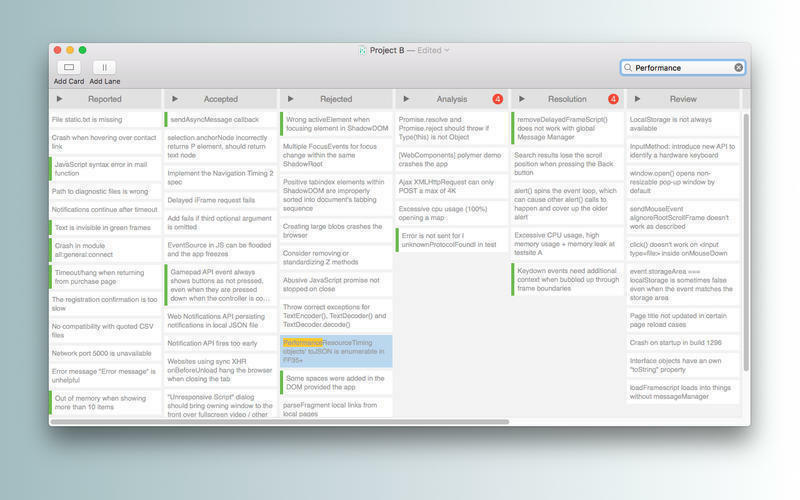 Kanban is all about visibility: managing your work in a visual and pleasant way. 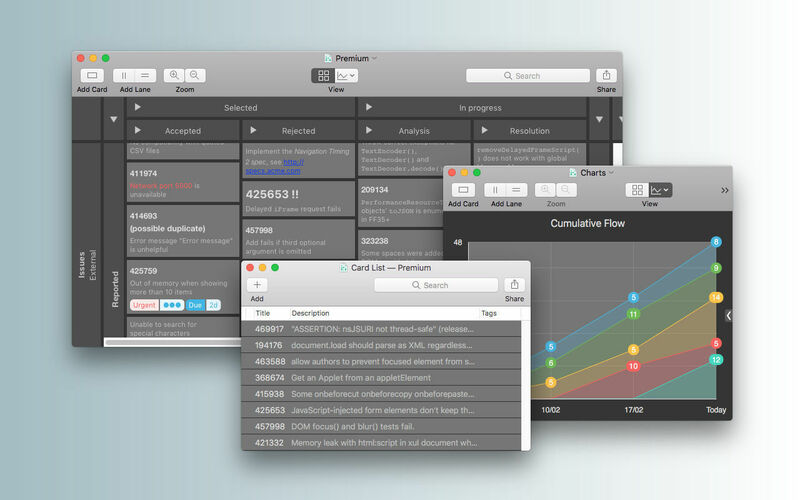 Kanbanier lets you create effective and easy to understand Kanban boards. 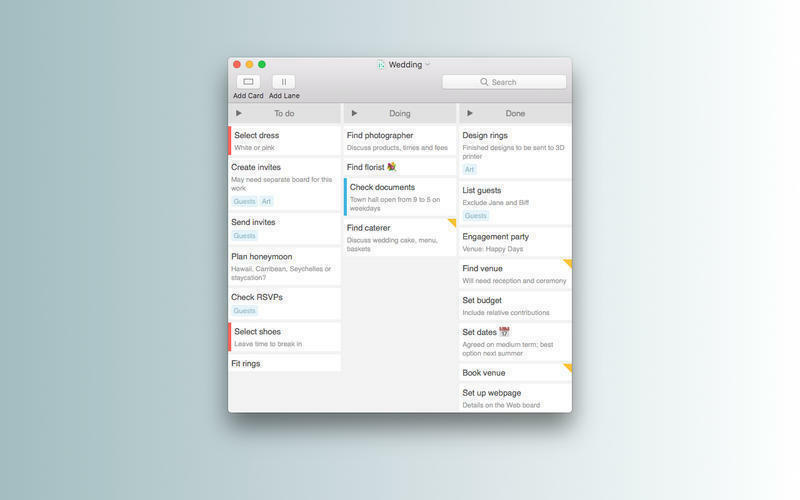 Designed for Mac, the sleek and modern interface makes your Kanban boards fit right into your desktop. Work in iCloud or offline, you stay in control of your project data; there is no web component, online registration or hidden fees. Decorate your cards with colors and tags to add more meaning and highlight what is and isn't important. Use different boards alongside each other, and move cards between them. This update is for use with macOS Mojave and also supports Dark Mode. Kanbanier needs a rating. Be the first to rate this app and get the discussion started! Set work-in-progress limits to balance workload. 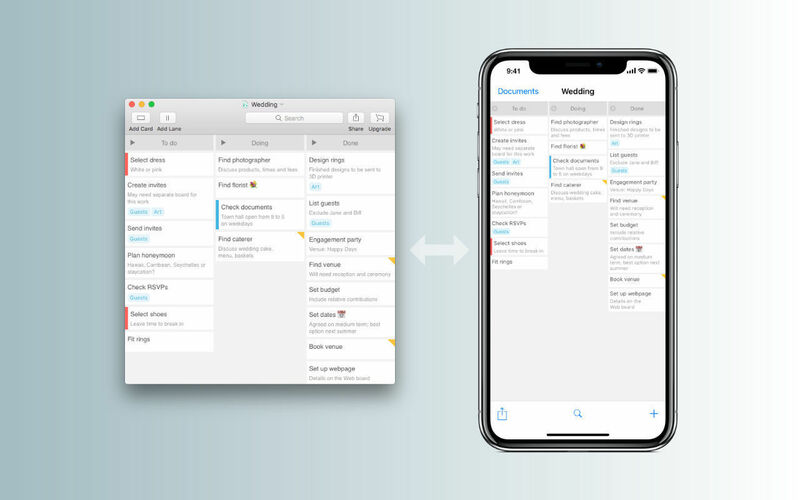 Save your boards in iCloud to sync with other Macs or Kanbanier on iPhone and iPad.